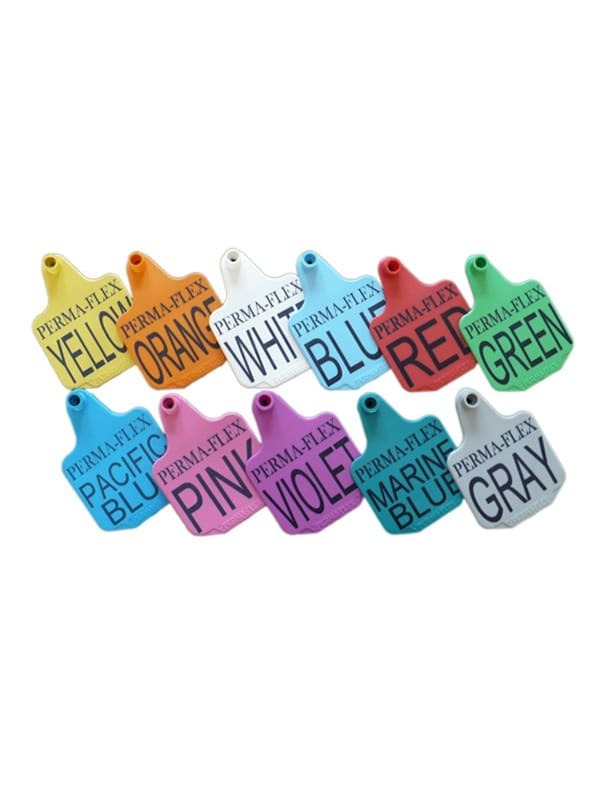 Neck tags are available in eight popular colors and can be ordered numbered or with printed text. 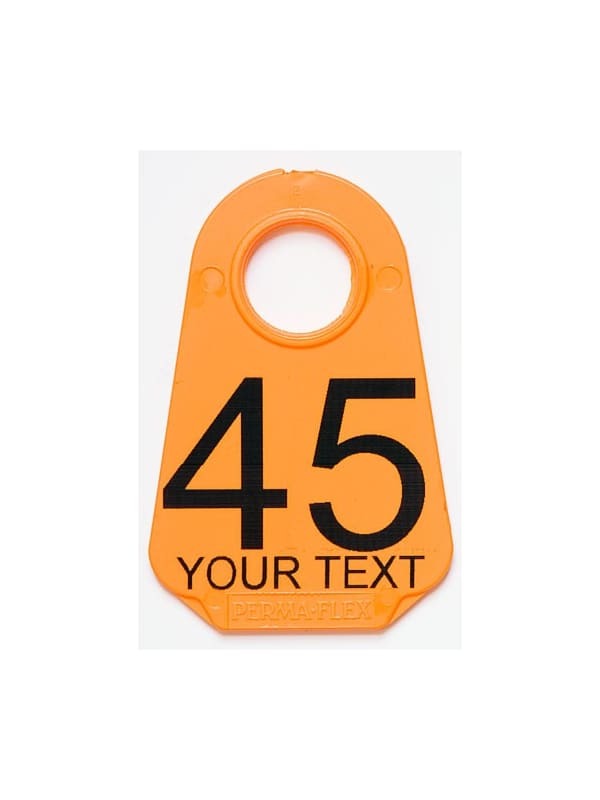 Be sure to add number on both front and back if double sided numbering is required. 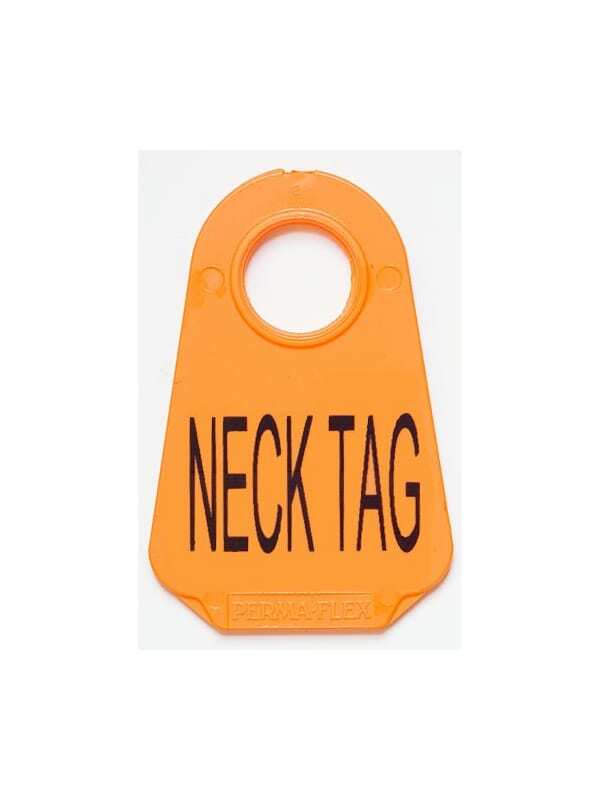 Custom printing can be done on the top and bottom lines on the front or back of the tag. Custom printing may take up to 10 working days. Printing is available in black ink only.